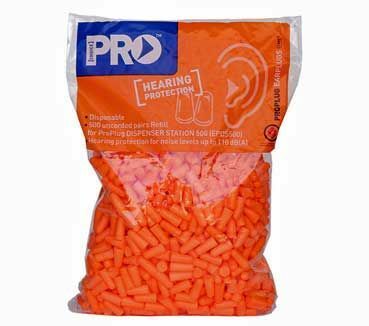 ProBullet Class 5 Earplugs provide excellent protection and are contoured to give the wearer maximum comfort. Hearing protection for noise levels to 110 dB(A). Qty/Bag - 500 uncorded pairs.